To the casual onlooker, playing in a top-class orchestra can seem like a glamorous profession. Perhaps it is. Who wouldn't want to sit there in the spotlight, performing beautiful music for a living and soaking up applause from an appreciative audience? Behind the scenes, however, there is the daily grind of practice, rehearsals, learning new music, traveling to concerts and more rehearsals. These less glamorous aspects of an orchestral player's existence are part of the reason why the Saint Paul Chamber Orchestra is mounting a Musician Appreciation Concert on Thursday evening at the Ordway. All proceeds will go to the musicians. "It's something we've talked about internally for a while now, and we plan to do it annually," says Jon Limbacher, the SPCO's managing director and president. "Our supporters love the orchestra, love the musicians. This is a chance for them to come and celebrate this great orchestra that we have." Five years ago, the situation at the SPCO was looking decidedly less rosy. A six-month lockout roiled the organization, and its future hung precariously in the balance. The dispute was eventually resolved, however, and since then the orchestra has bounced back in spectacular fashion. A new creative model has been implemented, placing the SPCO musicians at the heart of the artistic decision-making process. And in January, the orchestra won a Grammy for its Death and the Maiden CD with violinist Patricia Kopatchinskaja. These achievements do not come easy, and the hard work that went into them is one thing that the Musician Appreciation Concert is aiming to celebrate. "I always say the SPCO is the hardest-working band in the land," Limbacher says. 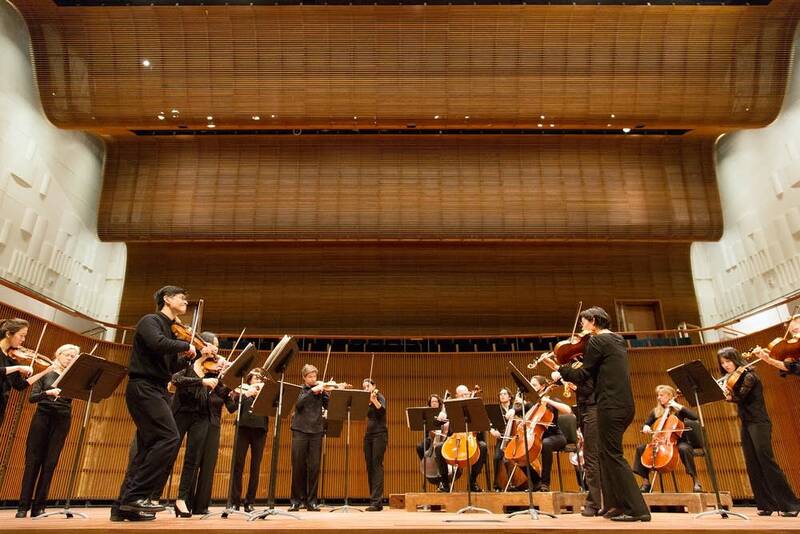 "We perform 130 to 140 concerts a year at 14 different venues around the Twin Cities. Our musicians make a tremendous commitment to their craft, and it's very, very demanding." 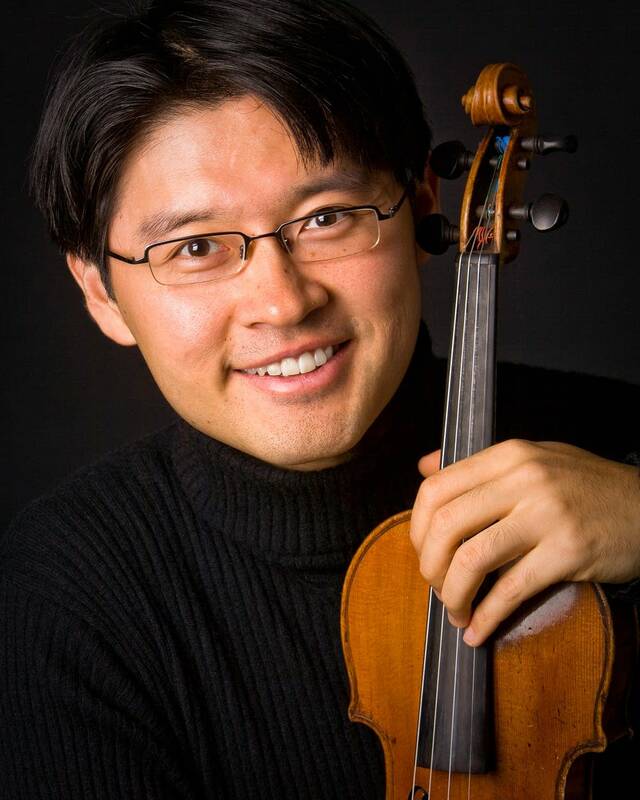 Kyu-Young Kim, artistic director and principal violin of the SPCO, will be playing in Thursday's concert. He agrees that life as a member of the orchestra has changed radically since the 2012-13 lockout. "The quality and intensity of the work has changed pretty dramatically, particularly with the number of unconducted concerts that we do and the range of repertoire," Kim says. "You could probably say it's a more stressful job now. But ultimately I think it's more rewarding, too. And more engaging." Performing without a conductor has become a hallmark of the SPCO in recent seasons, with the players making crucial decisions about tempos, dynamics and phrasing. "About 50 to 60 percent of our concerts are unconducted now, which is much higher than at any previous point in our history," Limbacher says. That brings a raw, edge-of-the-seat excitement to the music-making, but it also has its pressures, Kim explains. "The amount of engagement that each musician on stage has to put into each concert is definitely quite intense  more, I would say, than any other orchestra in the country." Kim's fellow musicians have, he says, risen to the challenge. "The musicians have really stepped up in the last five years," he says. "We wanted the Musician Appreciation Concert to recognize that part of it, too." Kim also is excited that this week's special concert gives a selection of SPCO players the opportunity to perform as featured artists. Violinists Nina Tso-Ning Fan and Maureen Nelson will play "Spring" and "Summer" from Astor Piazzolla's The Four Seasons of Buenos Aires, and newly appointed principal clarinet Sang Yoon Kim is the soloist in Mozart's beloved Clarinet Concerto. There also is an SPCO debut for Taiwanese conductor Chia-Hsuan Lin, who will lead Beethoven's Seventh Symphony  "a great, celebratory piece," Kim adds, "and a great way for her to debut with the orchestra." One key feature of the Musician Appreciation Concert is that the proceeds of the evening will go directly to the SPCO players. "All the proceeds after we pay the expenses will be divided evenly among the players," Limbacher says. "The characteristic that's present at all our concerts is a dynamism on stage among the players. Our audience notices and reacts to that, so we want to do everything we possibly can to increase the compensation of our musicians." For Kim, the relationship between the SPCO and its audience is central to what is being celebrated at Thursday's Ordway concert. Some seats are being placed onstage to increase proximity to the musicians, and players will mingle with audience members during the intermission. "We have an extraordinary audience which feels very close to the musicians, and this is a way to bring them even closer," Kim says. "It's a great opportunity to bring the SPCO community together."